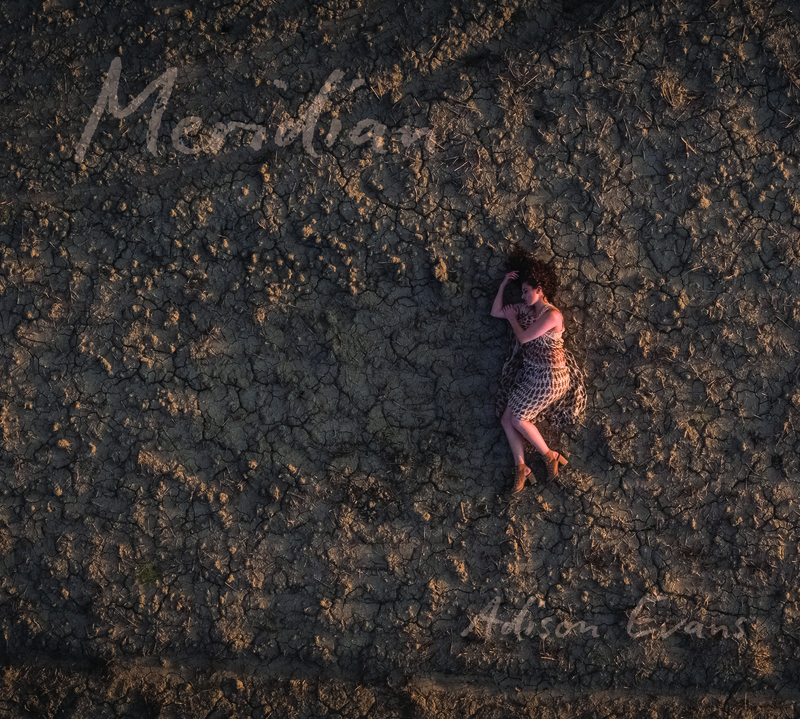 Baritone saxophonist Adison Evans returns with her second release as a leader Meridian, due out on July 6th, 2018. After paying tribute to her musical heroes on 2016’s genre-bending debut Hero, Evans’ own compositions and musical prowess take center stage on Meridian over the course of dynamic tracks that are at once lively and pensive. Inspired by the Tuscan countryside Evans considers a second home, Meridian can be considered her love letter to nature. To celebrate the release of Meridian, Evans will be performing with her band on July 6 at the Deer Head Inn, Delaware Water Gap, PA. The saxophonist will also perform at Birdland Jazz Club in New York City on September 2 at 6:00 PM. On April 27 and 28th, Evans will be presenting selections from Meridian at the Velvet Note in Atlanta, Georgia at 7:30 and 9:30 PM. Joining Evans (who in addition to baritone sax offers her talents on bass clarinet and flute) is a stellar line-up of musicians including saxophonist Troy Roberts, who shares writing credits with Evans on four tracks, trumpeter Matthew Jodrell, pianist Silvano Monasterios, bassist Joseph Lepore, drummer Roberto Giaquinto and on select tracks percussionist Jeremy Smith and clarinetist Vasko Dukovski. Mixed by Rozhan Razman and mastered by Dave Darlington, the music heard on this aptly titled sophomore album is inspired by the feeling one experiences whilst standing alone in nature, breathing in fresh air, feasting the eyes on wonders of the earth, reflecting, and recharging from the chaotic world we live in. In 2014, Evans brought two and a half very busy years of touring with both Beyoncé and Jay Z to a close in Paris. Upon doing so, she realized that the bustling, chaotic energy of New York City did not present the most apropo return destination for her. In the interest of wanting to be able to speak another language fluently, Evans made the brave decision to move to Asciano, a small countryside village atop a hill outside of Siena in Tuscany. Track 7, “Monkey Mind” is a composition that reflects upon the incessant chatter that can so often occupy our brains. The middle section of the piece then opens up to display a moment of clarity and resolve, only to be greeted one more time with the ostinato bass pattern and driving drums in which our monkey minds activate once again. “Owl People” is a quirky tune that Evans co-wrote with Roberts. With the bassline and melody for the first section of this piece drawing inspiration from John Scofield, Roberts then took this opening section and created a contrasting bridge. Meridian reveals a new side to the visionary instrumentalist; one that displays her appreciation for nature, her surroundings and most importantly her connection to these elements. Evans combines pure excitement with a soulful saxophone sound and a contagious smile to create one compelling performance after another. Adison sealed up 2017 with her debut on stage on Broadway in “Home for the Holidays” at New York City’s historical, August Wilson Theater. She has shared the stage with several legendary artists including Beyoncè, JayZ, Stefon Harris, Christian McBride, Terence Blanchard, Wynton Marsalis, Demi Lovato,Trisha Yearwood, Nicki Minaj, and many more. Evans made her debut in the pop world playing in the 2013 Superbowl with Beyonce. Upon graduating from the Juilliard School, Adison embarked on a two and a half year adventure playing and touring with Beyoncé in the “Mrs Carter Show World Tour” followed by Beyonce and JayZ in the history making “On The Run” Tour. Adison can be heard on the album that crashed iTunes, “Beyoncé” and seen in many of her music videos including “Countdown”, the HBO Beyonce specials, and Beyonce dvds.